Welcome to the world of Window Wonders …. “removable” window stickers that can be peeled and re-sealed to your windows simulating a stained glass look! When transferred onto a window in a sunny room the sunlight dances through each piece bursting rainbows of colour… and the real FUN begins when you peel and reseal them – you can easily move them around the home – see where they look their best as they look great on so many surfaces …. Window Wonders are amazingly durable to handle and importantly non-toxic so they are safe for children to handle. Our customers keep coming back and adding to their collection …18 years on! Window Wonders do not to fade or lose their stick, so if you care for them you will have them to enjoy for years! Great to collect and display in a group by building a theme or they simply work wonders individually. A themed example could be …. a rocket, a sprinkle of stars and a spaceship spread across a boy’s bedroom window or a fairy/princess, some daisies and a butterfly across a girl’s bedroom window can create an instant wonderland. They even work as a safety benefit by stopping people walking through sliding glass doors or birds flying through windows in the home. If you have cracks in any of your glass surfaces, especially mirrors cover them with Window Wonders and no-one will ever know they are there. 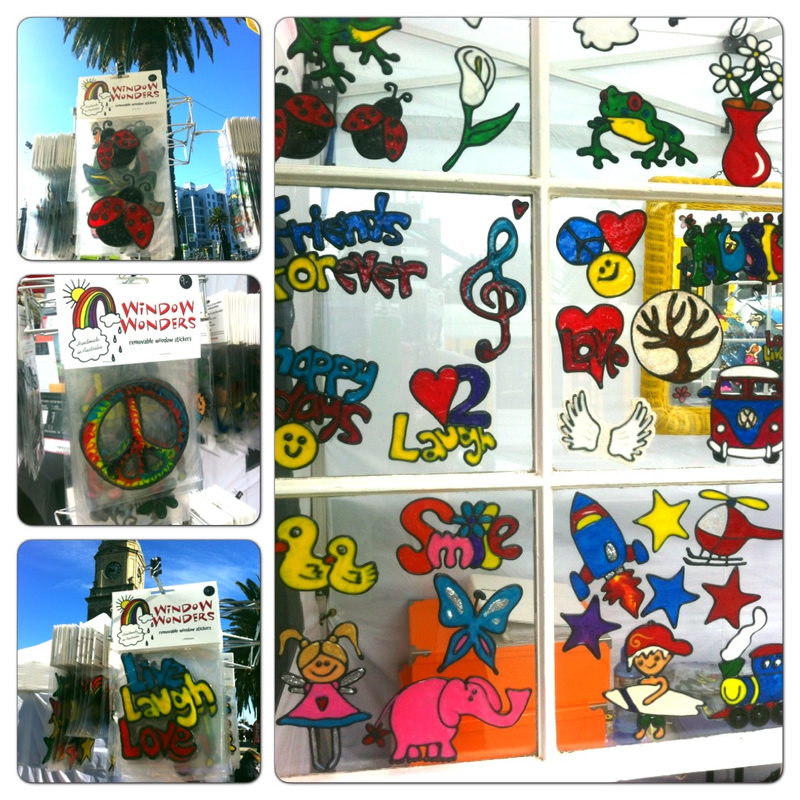 Window Wonders are a unique, affordable individually handcrafted product that ‘makes you feel good’ to have …. or give. If you have family or friends that live overseas or interstate, they are an ideal lightweight gift that can often be sent inside a gift card, keeping postage to a minimum!